The one thing you can always count on when you take a Disney trip is the fact that you are going to take hundreds and hundreds of photos. Tons of photos of the castle, tons of photos of Mickey Mouse, tons of photos of characters and rides. The new June Blog Challenge for Kellybell Designs is all about scrapping those tons of photos. This month's theme is Photo Blitz! We want to see lots of photos on the page - five or more photos! CT member Lisa has created an amazing set of journal cards for Animal Kingdom as your participation prize this month. Aren't they just gorgeous? If you like them, then you'll need to create a layout for the challenge. Have fun this month! Scrap a Disney layout that have five or more photos on it. Use as many elements and papers as you want. Decorate a lot or a little, it's up to you. Layouts should be made with 100% Kellybell products or freebies (you are allowed to use a template from another designer). You are welcome to submit more than 1 layout. 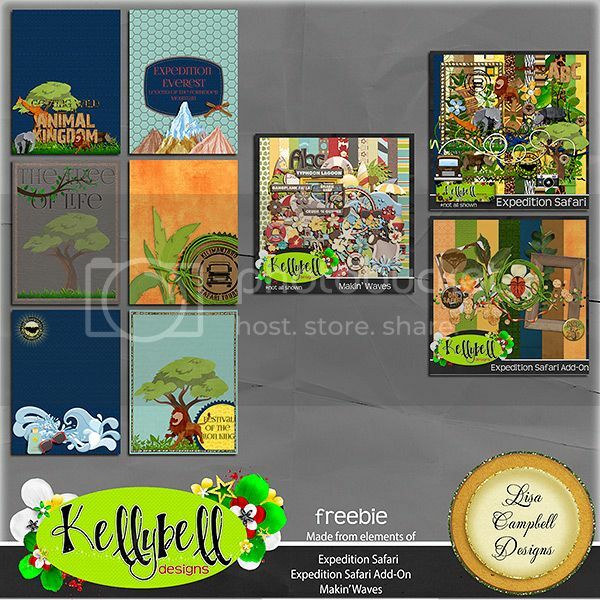 Post your layout into the Challenges Gallery at Kellybell Designs by midnight EST June 30th. Participation prizes will be sent to the email address you have listed with Kelly's gallery so make sure you're registered and logged in with your User ID before posting your layout. A random winner will be selected to win a $6.50 gift certificate to Kelly's store. The winner will be announced the first week of July. That's also when the participation prizes will be emailed out. 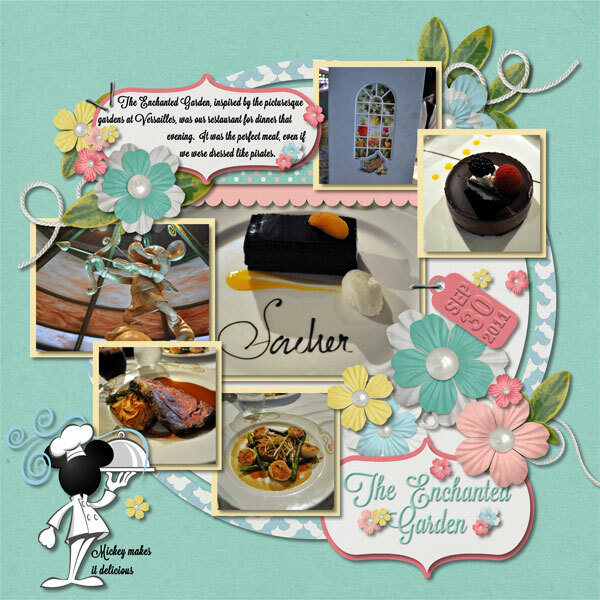 Kelly has lots of pocket style templates that you could use that have plenty of photo spaces. Scrapping using lots of photo is a blast! Here's a page that I made. You can view all the CT layouts at Kelly's Blog or Kelly's Facebook Page. Kellybell Designs says Hey Howdy Hey!